We are now looking for a date in the spring of 2019. 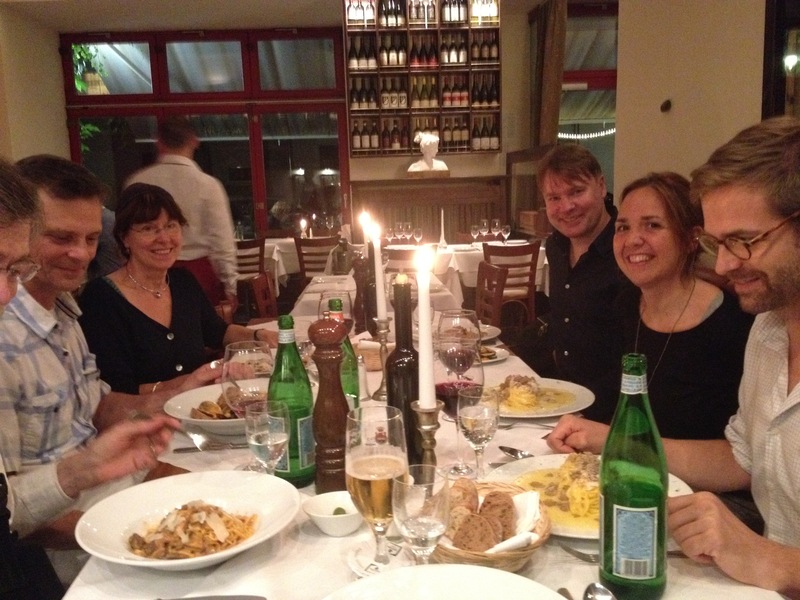 Alan Fraser is happy to return to Berlin, one of Europe's principal musical centers, for a third stimulating institute. The venue for this institute is a private home with a fine concert Fazioli grand piano. Unfortunately, we could not fix an available date this autumn for the room, and so the institute is postponed until Spring 2019. Dates should be confirmed before the end of 2018. As in previous institutes, practice facilities will be arranged at one of the local piano stores. Participants receive two lessons over the three days. Those who wish to have a lesson every day may reserve a third lesson with the organizers to be paid separately. All other events 1 hour later than indicated in the daily schedule. Student Recital (Optional Participation) 8 p.m.
Click here for travelling directions to the Klaus Heinz Residence which is in southwest Berlin betweeen the Konstanzer Strasse and Adenauerplatz U-Bahn stations on the U7 line. Please note that the number 8 on the front of the apartment building is virtually invisible. People have been known to walk right by it several times before finally figuring out where the address is. There are many hotels in Berlin, all easily available at Booking.com. There are many restaurants within walking distance of the studio. The active participation fee covers TWO individual lessons, daily group ATM lesson, daily seminar lecture, and observation of all other lessons. Auditors participate fully but receive no individual lessons. Extra lessons may be booked with the organizers if so desired. 10 % EARLY BIRD & SENIORS DISCOUNT - for seniors age 65 and over; also anyone under 65 who registers by June 1. For other options please contact Matt Rubenstein to reserve your place. Matt will answer all your questions and arrange your preferred payment option and/or partial scholarship. 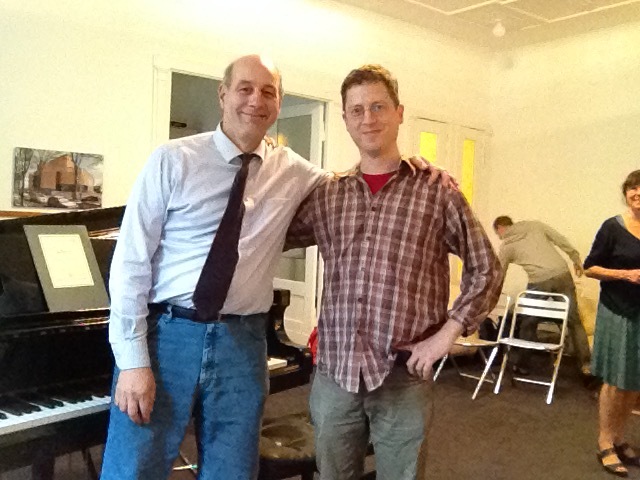 Pianist and pedagogue Matt Rubenstein is an American pianist and teacher who has been active in the Berlin clasical music scene for many years and has recorded several acclained CD's of new piano music. 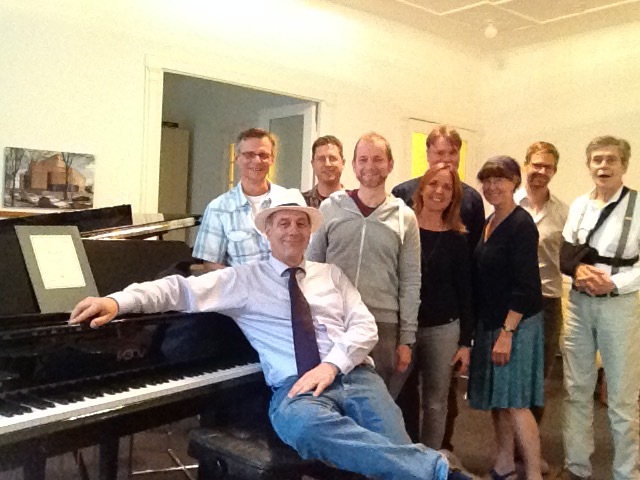 He teaches piano privately in Berlin and is the organizer of the Berlin Alan Fraser Piano Institute.